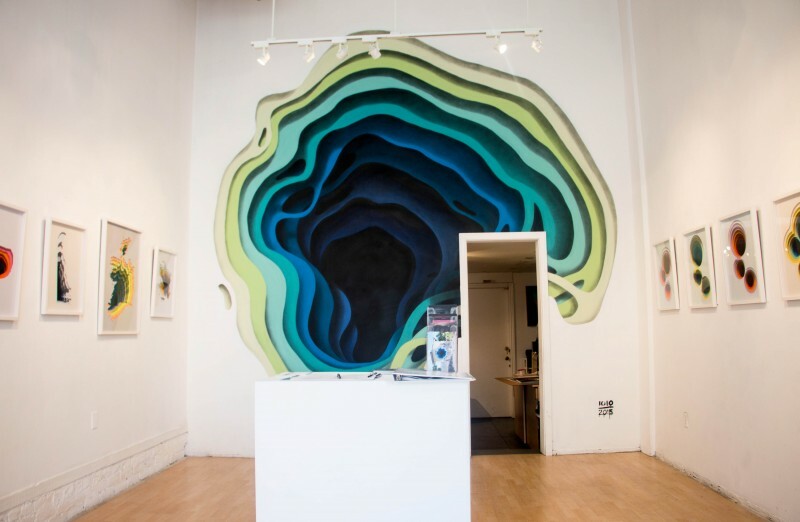 German street artist 1010 (pronounced “ten ten”) had an intriguing installation at Hashimoto Contemporary, where he created multi-layered colorful portals. 1010 first began creating his “hypnotic portals” in 2009 throughout the city of Hamburg. Using the sides of buildings and abandoned wall spaces 1010, turns an unassuming wall into a colorful gradated void that seems as thought you could step right in and out to the other side. The depths that the artist creates on a 2D plain is perplexing in a good way, as the murals trick our mind into believing his transported vision. Stunning layers of colors closely overlap as they spread out like liquid that pools up into the darkness at the endless center. The artist carefully maps out work that works its way out of the darkness, finally reaching the lightest colors on the wavy borderline. 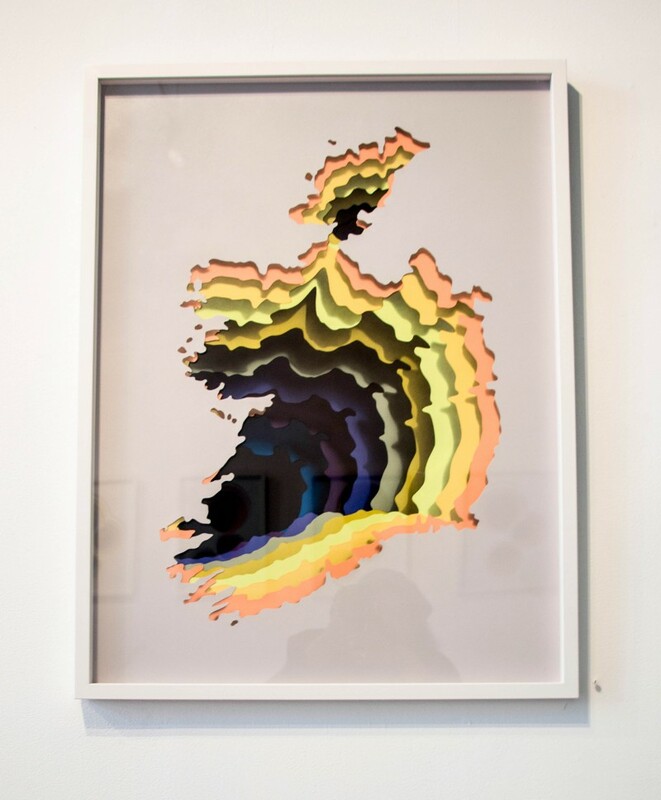 The resulting polychromatic grottos disrupt the stagnant structures of the urban landscape, bringing a beauty and mystery to the systematic components of the city they inhabit. 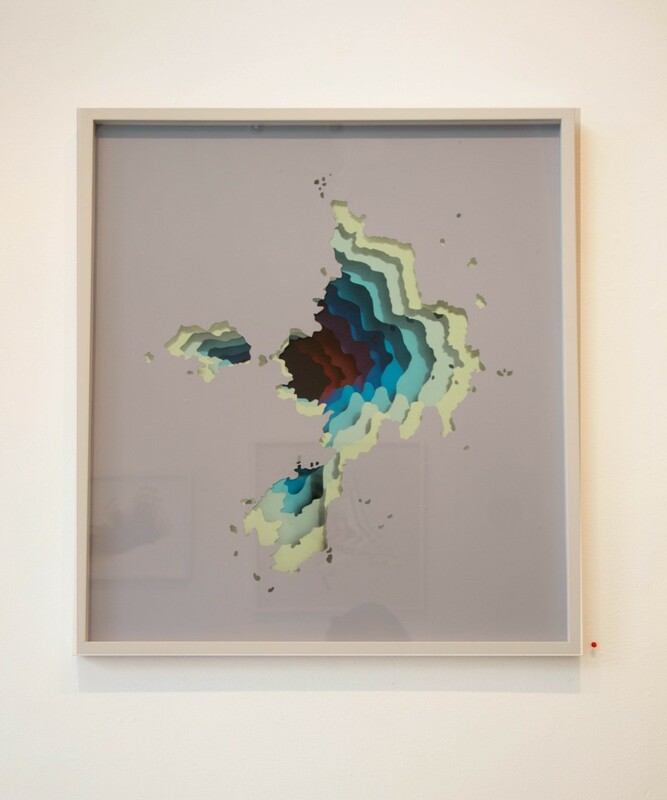 See a few more pictures at Hashimoto Contemporary and here. This entry was posted on June 3, 2015 at 7:19 pm and is filed under exhibits, installations with tags exhibits, installations. You can follow any responses to this entry through the RSS 2.0 feed. You can leave a response, or trackback from your own site. On the top wall portal giants mutated, kaleidoscope-colored, 3-D ants or bees emerging out could’ve made that so much cooler.